Influx Amaze is a new and updated version of our stunning Amaze range from Influx. Covered with fabric to meet BS7176 Medium Hazard to now make them suitable for use in both the office and home working environments. 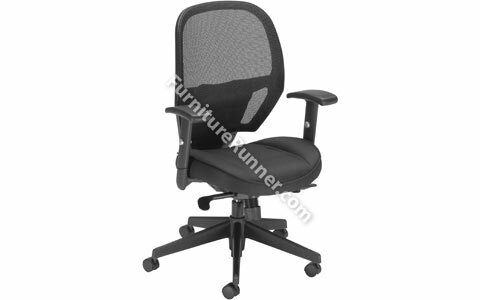 These chairs come complete with height-adjustable arms and now an adjustable lumbar support.